An exhibition of stunning, large-format, historic panoramic photographs of the Great Western Divide. This exhibition has been curated by Matthew Rangel in partnership with Martzen Studio of Dinuba, California, and the Tulare County Museum who have graciously loaned the photographs selected for the exhibit. The images included are the work of George Belden and Lindley Eddy, who produced in Sequoia National Park during the early Twentienth century and to which many of the most iconic images of this treasured national park are credited. 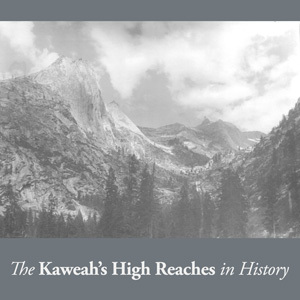 For the past four years, during the month of November, Arts Visalia has presented exhibitions held in conjunction with the Kaweah Land and Arts Festival, a series of art exhibitions, nature outings, and community discussions focused on the nature of our relationship to our local landscape and its impact on creative expression.